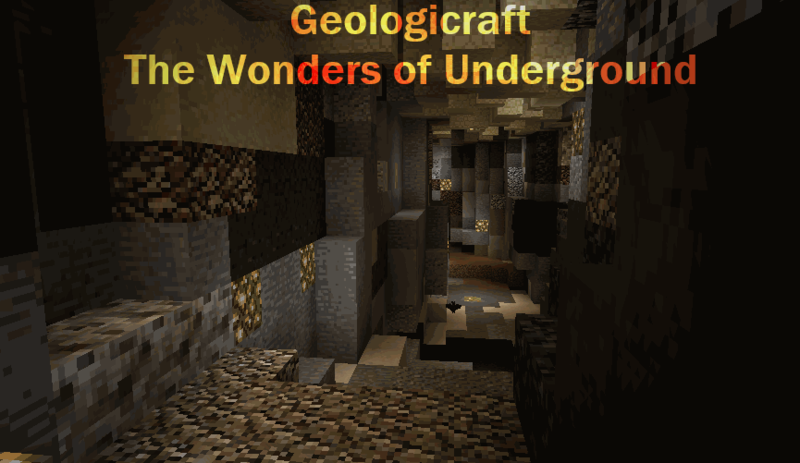 Geologicraft is a "small" simple mod that doesn't do much...or does it? Anyways it just adds many stone/rock types that are found in the IRL WORLD (Idk what that is, what's outside?) there's 3 types Igneous, Sedimentary, and Metamorphic, however, I'm focusing on Igneous right now and there's a lot....;-;. Each stone type is found all over the world and has a both cobble and brick form as well, alsooo each stone has a vanilla ore type so it's easier to find emeralds diamond and really anything which wasn't intentional but I like it. This mod is mainly for making your Minecraft world a lot more colorful at least underground, it should also be used in modpacks preferably. Yeah, thats it really soo enjoy! All Textures For Sedimentary Rocks Have Been Completed So Expect New Stones Soon! Check Out This Cool Mod by Awesomex The Creator of OreMobs!! I just found this mod again and I'm trying the mod without any other mods. @#17 Oh hey I didnt think anyone actually used the mod anymore! Also, if you put this mod with Underground Biomes Construct, you will have 2 types of chalk, dacite, komatite, and other stuff. TheKipster all your mods just simply are awesome!